While energy chews and energy blocks are more often considered in the realms of endurance sports like running and cycling my reason for reviewing this type of product on a hiking website is that I’m currently in the process of planning a long distance thru hike with consecutive days of big distances. From monitoring myself over the past few years on how my body reacts to big days on the trail there are days where I can burn around 8000+ calories. Sometimes I just need that energy boost and products such as these come in handy. 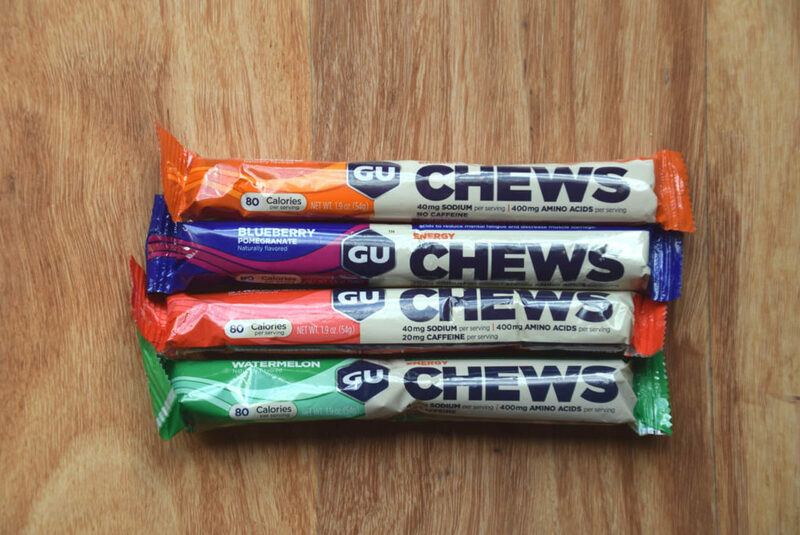 GU energy chews can best be described as large soft jubes. Thats what they look like and in many respect its what they taste like as well. The four flavours readily available are Blueberry/Pomegranite, Orange, Strawberry and Watermelon. Gill and I tried all four flavours and in most cases the flavours are fairly subtle with the exception of the Orange which is reasonably strong. The 54gram packet contains two servings with each serving being 80 calories packet. All favours contain sodium and are caffeine free (with the exception of the Strawberry). Who needs coffee when you can get a caffeine hit out of a packet? I tend to hit a wall in the afternoon at work and will usually go for something like chocolate but tried these as an alternative. Now I’m a bit of a sugar addict so it was all too easy to eat the whole packet in one sitting and the best way I can describe the effects (from my own personal perspective) is that is it similar to consuming too many energy drinks/cups of coffee. I definitely got the energy back but I was ‘wired’ to say the least. Lesson learnt, don’t costume these unless you can burn off the energy. Apart from that I didn’t have any adverse effects on my digestive system so that was a bonus. This product is very similar to the Clif Shot Bloks but unlike the Clif product which provides a more sustained gradual energy release these give an almost instantaneous boost. Overall I can see myself using these for big days and will seriously consider them for my upcoming thru hike particularly when I need a quick energy hit. I’ll just need to develop will power and not eat them as lollies. Listen to podcast episode 057 Nutrition on the trail for additional information on supplements and hiking. 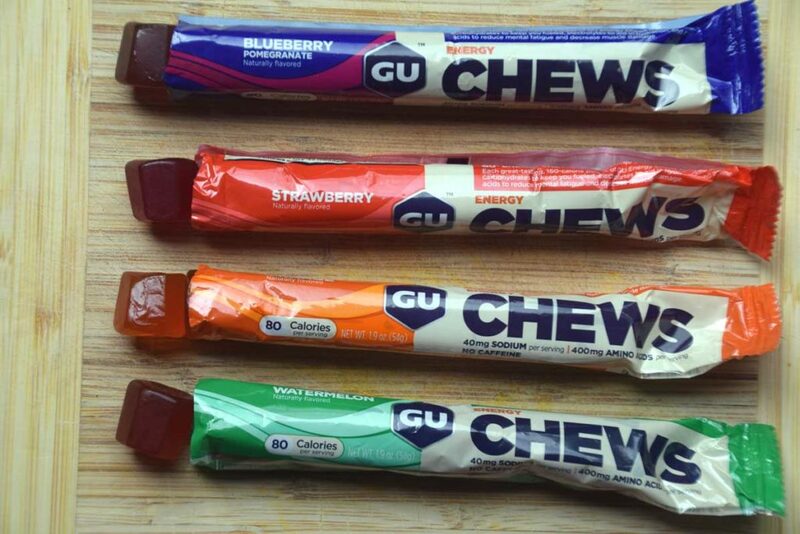 You can purchase GU energy Chews from Wildfire Sports.